Buy them for $12.99 at ThinkGeek.com or BustedTees. 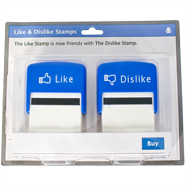 We also found a Like button stamp on eBay and included them below just so you know they exist. 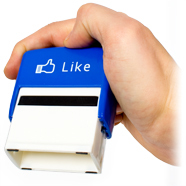 If you’re into Facebook related gadgets, check out our Gifts page. 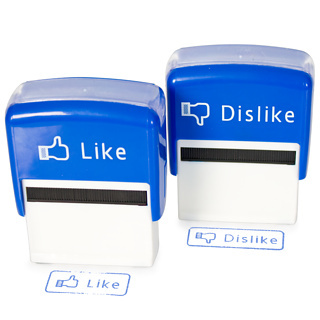 Oh, and we know there’s no thing like a Dislike button. So for those who really desire one, this product is the next best thing. What’s it gonna be, Commodus? Thumbs up? Or thumbs down? Posted by Pieter on January 26, 2011 at 2:13 AM. Use this trackback if you're linking this story.